It's been 2 weeks since I challenged myself to 30 days of fitness. It's been a challenge alright. Trying to find the time and having enough energy are my biggest challenges so far. As much as I feel good after completing a workout and keeping up with the challenge, some days I feel like I just can't do it. Despite this, I am pushing myself and that's part of the point; sometimes we need a push and it has to come from within ourselves, no one else is going to do it for us. The motivation comes from whatever it is we desire; wanting a better body, better health, better sleep, a better outlook or just being able to fit into all our clothes. Whatever our motivation is, we have to use it as a powerful tool to get ourselves going and to stay on track. I don't want the challenge to end after 30 days, I want this to become a habit, a way of life. That is another point to this challenge for me- to make fitness a part of my daily routine, to find the time, to make the time, to find forms of exercise that I enjoy and keep at it! Over the past 7 days of this challenge there were some days that I just wasn't up to doing much of anything. But, for the most part, I chose to do some form of activity rather than do nothing (with the exception of one fail day.) I will list the exercises that I chose to do over the last week and you will see that I found many options for those days that I didn't have the time or energy. I will link to items I used in my workouts this week where possible. Despite my one fail day, I chose an activity on 6 out of the 7 days, which I don't feel bad about at all. I'm not beating myself up over a fail day or even a shorter workout day as it's better than what I was doing before this challenge ie. nothing! Even on some of my most limiting days I found a way to squeeze in a little workout. 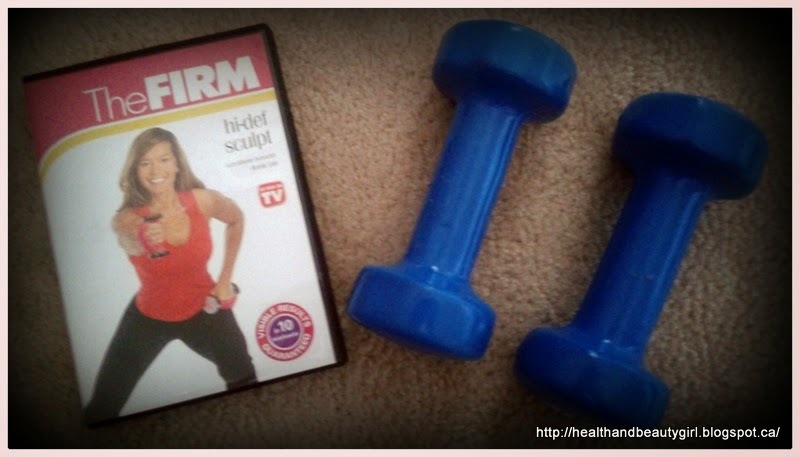 For instance, some of the DVD's I have offer shorter workouts, and I finally used an app that I've had on my cell phone for eons- the "7 Minute Workout." It was a great workout and I actually worked up a sweat! Even though it was only 7 minutes, it felt good to get in a workout that day. I'm impressed with the app. and will definitely use it again. I've read a lot of research over the last few years which says that they are finding out that short bursts of exercise are more beneficial than longer more traditional workouts. Along those lines, HIIT or "High Intensity Interval Training" is gaining more and more popularity due to its purported benefits over conventional workouts. Many of you are probably familiar with or have heard of it. HIIT is basically a form of exercise where you alternate high intensity exercises with low intensity ones. One example would be running quickly for a few minutes and then walking for 1 minute (your rest period). This style of exercise is supposed to burn fat much more effectively than a steady paced workout. Here is Wikipedia's description of HIIT. I may not have lost any weight but that's okay, I feel I am toning up already! If you know of any great workout DVD's or app's please let me know.